I started walking around with my upcycled bag (see my previous post 'Upcycked bag made of tetrapack' , and got so many enthousiastic reactions (thanks to all!) This encouraged me to make more upcycled bags, not only bags with the print on the outside, like the bag on the left, but also with the silver colored side of the tetra pack on the outside. Personally these are my favorite :) If you are interested to have such a bag, feel free to visit my Etsy shop, or contact me (marjan[underscore]geerts[at]hotmail[dot]com) for a custom made upcycled bag or purse. very nice information you share with us.Purses and handbags are girls favourate. Such an admirable post shared by you regarding recycling bags. 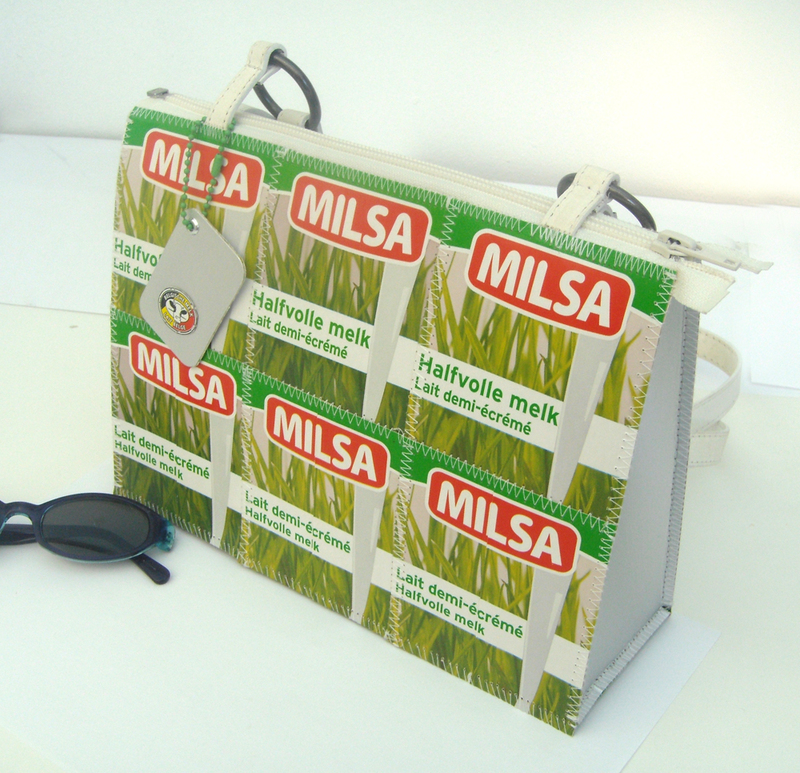 The great advantage of using recyclable bags is that they can reduce waste if they persist for a long period of time.